The breakfast joint ditched its famous Rooty Tooty Fresh ‘N Fruity pancake meal in favor of a different kind of combo — burgers and fries. And this wasn’t just a small tweak in the menu. The International House of Pancakes (IHOP) revamped its entire identity to become the International House of Burgers, or IHOB. Twitter raved over Wendy’s classic response to a new player in this fast-food fight. 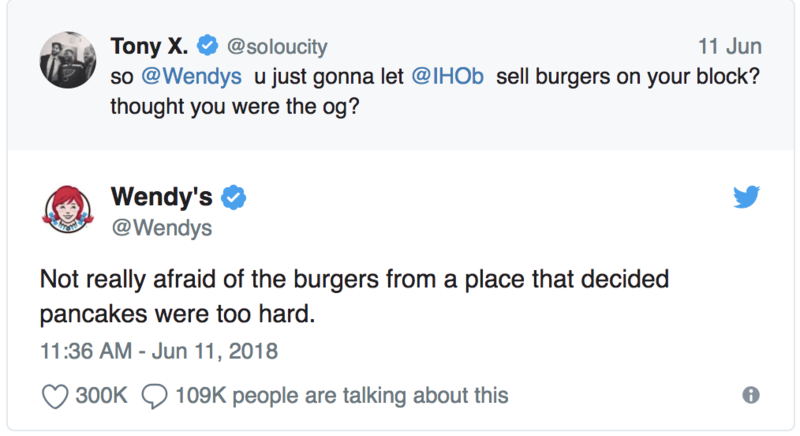 Certainly, IHOB’s new focus might pose a threat to “the real OG,” as one Twitter user dubbed Wendy’s. But another franchise stood more to lose by simple virtue of its name. 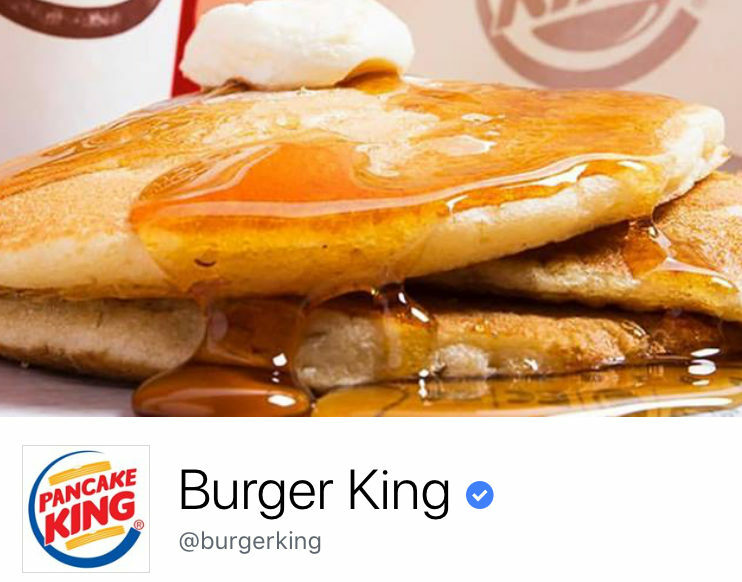 In many circumstances, sheer interest in a new restaurant might have threatened Burger King’s brand recognition. 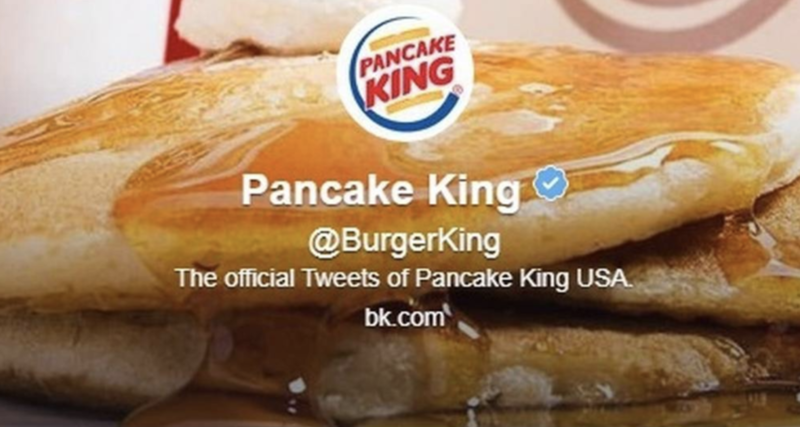 But with a little quick thinking, Burger King’s marketing team leveraged a bold response to secure its market share. Well hello, humor. What can you learn for your own business? Your brand isn’t a logo or slogan. As we’ve mentioned in other blogs, a brand is what people say about you when you’re not in the room. It’s a feeling, an experience. And it springs from qualities resembling human characteristics, like “creative,” “tenacious,” “bold,” “playful” or “witty.” Just like people, every brand has a humorous streak in its “personality,” albeit of different tones and varieties. And at the end of the day, people want to connect with people, not brands. So tap into your brand’s distinct flavor of wit to forge a deeper connection with your fans, customers and followers. Brainstorm qualities that unveil your brand’s lighthearted side. Are you the quiet, dry type? The bold jokester? The playful pal? Humor doesn’t necessarily need to tie directly to your product or service; it simply can identify you as a dynamic company with a witty, engaged staff unafraid to push the boundaries. Others feel welcome to interact and express themselves in your conversation. Explore voicing your sense of humor through a variety of mediums, from a parody video to — yes, indeed — even a quippy cat meme. As Forbes points out, effective brand humor can be a fine line to walk. Heavy-handed jokes can easily backfire when they cross the line into demeaning sarcasm. Keep close tabs on the tenor of your communication and seek an inclusive rather than exclusive tone. While it feels lighthearted and spontaneous, well-honed brand humor requires significant thought and planning to craft a streamlined output. When in doubt, consult a communication professional as you develop your brand voice. At Clairemont, we help our clients craft a compelling brand voice that connects with the personality — the hearts — of their audiences. Learn more about honing your brand!